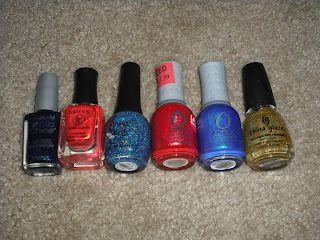 Imperfectly Painted: Mega Lacquer Haul! 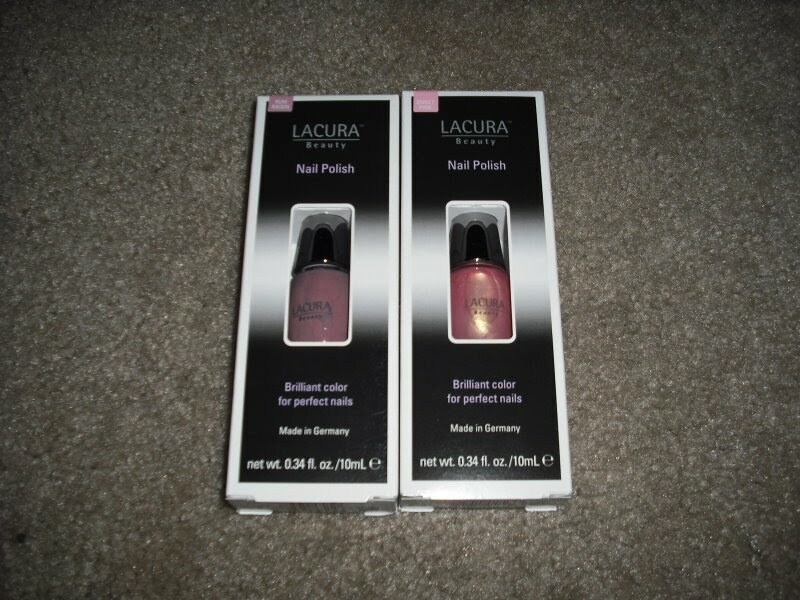 Aldi has nail polish? WHAT?! OMGosh look at all that stuff!!! 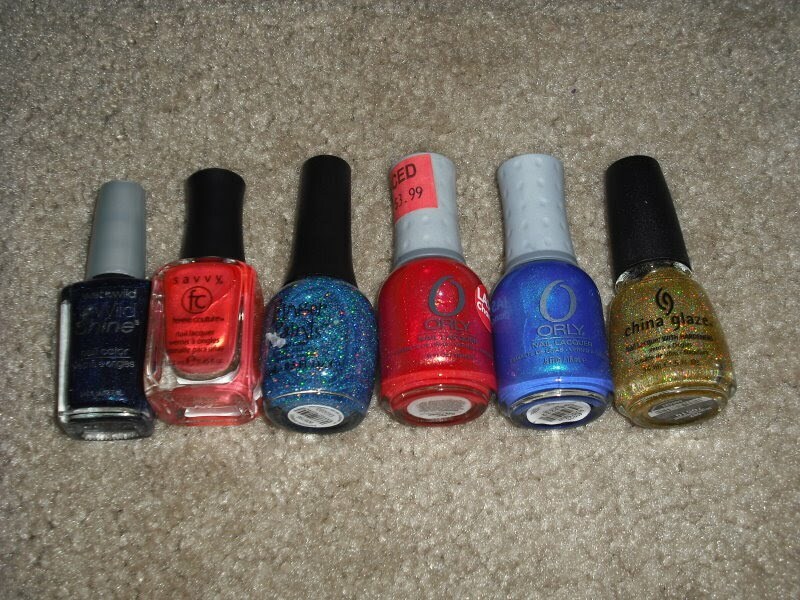 This tells me I have to go back to Claire's to see if they have that blue mood polish - WANNT!!! This stuff looks great!! 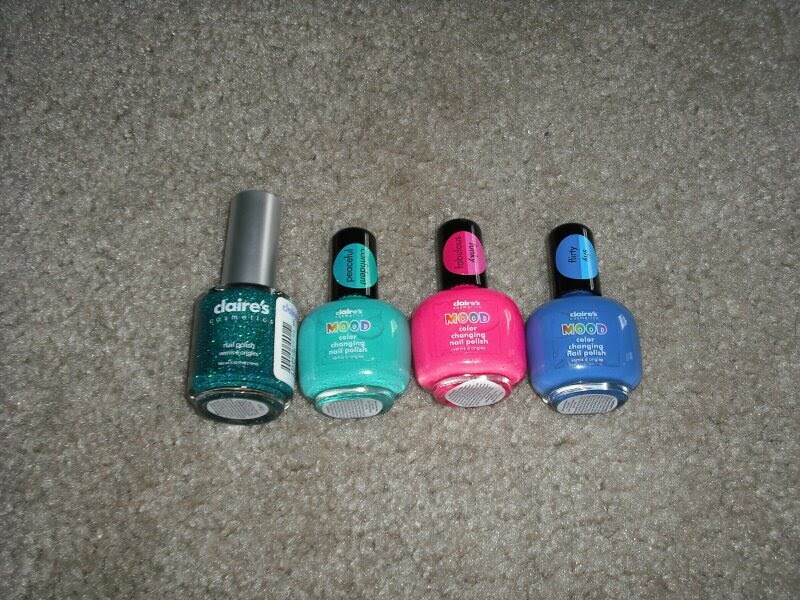 I need to get over to Claire's and pick up more mood polishes. Is Aldi's the grocery store? Nice haul. You have a lot of polishes they don't sell in my store. Aldi's??? Wow, who would have guessed! Girl, you got a serious haul! Whoot! Sorry about your parents having to leave. Sounds like you had a good visit with them. Deanna- I think I'm going to have to go back there again soon then. I rarely go there since it's way out of the way for me, but if those Essences are popular I want to get more! Enamel- Yeah Aldi the grocery store. Very limited selection, but it was interesting enough to try. Kimberly- I know? 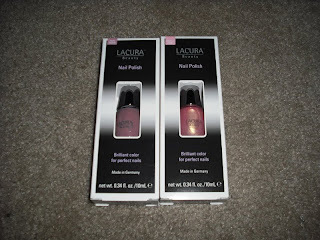 I read on someones blog they had their own brand of make up "Lacura" so I figured since we were in the area to go a check it out. They only had about 5 colors, nothing overly interesting, but it's a unusual brand I hadn't tried. It was a great visit. I will miss them! 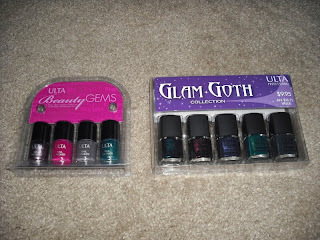 Oh, I didn't know Ulta carried the bigger bottles of Essence nail polishes--will have to check for them next time. Yeehaw looks like you had fun ;0) can't wait to seem them! I love Haul Pics! Orly Royal Navy is gorgeous!